A classically styled personalised wrist watch with standard numerals and visible working movement. Engraved with your message on the back for a special gift. 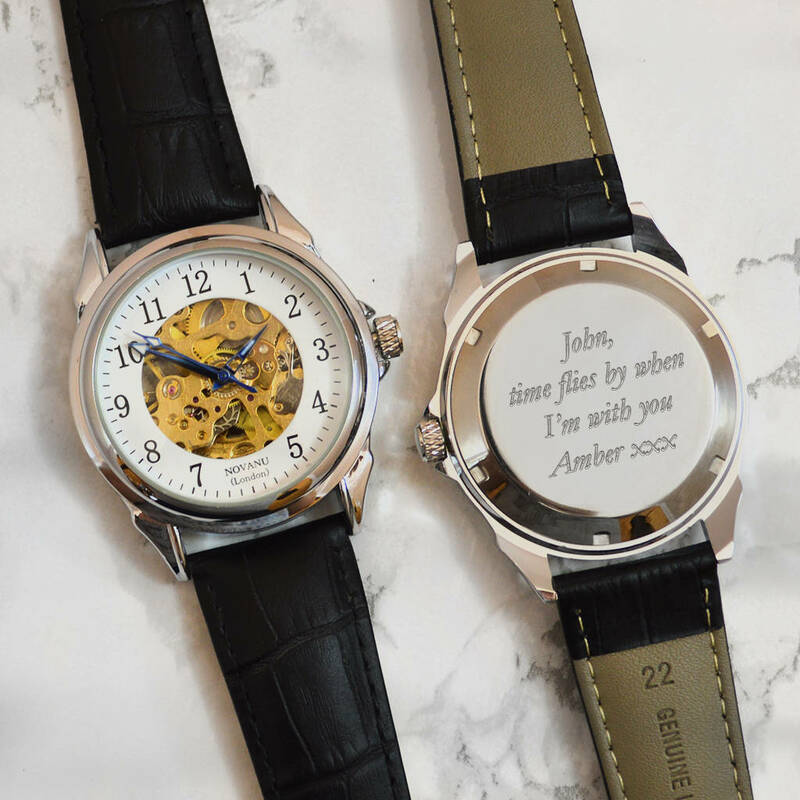 This special engraved wrist watch is an ideal gift for partners, relatives and friends on all occasions including graduation, birthdays, weddings, Christmas, leaving gifts and retirements for example. You could also give it for Father's Day or any other special event during the year. 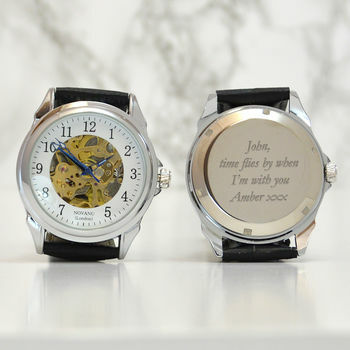 Once engraved, the personalised wrist watch gift comes in a card gift box to make the gift easy to wrap or to present. The watch is engraved on the back, you can have up to 60 characters in total, 15 characters per line over 4 lines for best results. Georgia is the standard engraving font style. 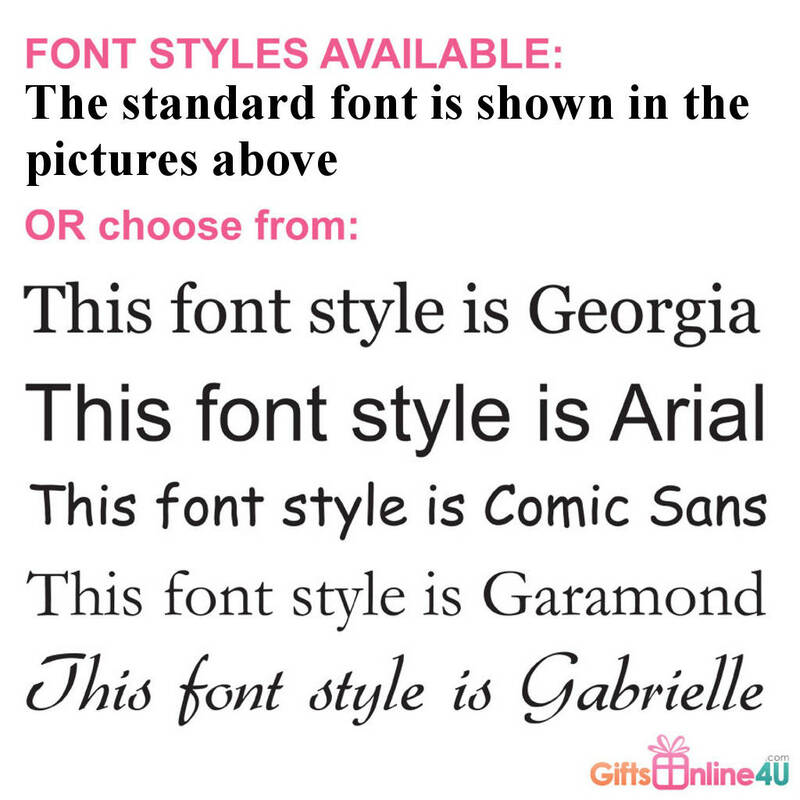 However, Garamond, Gabrielle, Arial, Times New Roman and Comic Sans are also options - just let us know when you add your personalised text if you have a preference. Why not also purchase a greetings card for a little extra to advise the gift recipient who the engraved wrist watch is from? If you wish to choose this option, a bespoke, full colour, standard A5 sized card, folded in half and printed with your message on one of the inner sides can be chosen in the personalisation fields. The unisex greetings card will be sent in a white envelope with your gift. PLEASE ONLY ADD A GREETINGS CARD MESSAGE IF YOU SELECT THE OPTION TO PURCHASE ONE, OTHERWISE, NO GREETINGS CARD WILL BE SENT with your purchase. Thank you for your understanding.